One of the last links to the Government that took Fiji to Independence 43 years ago has been severed with the death in Australia of Douglas Walkden-Brown – a member of Ratu Sir Kamisese Mara’s cabinet both before and after Independence. 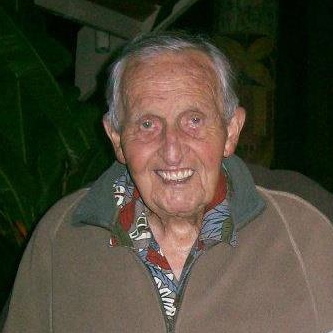 The highly respected agriculturalist known more informally in Fiji as Doug Brown passed away peacefully last Saturday, a week after his 92nd birthday. He had been in failing health in recent months but was still able to enjoy a celebratory glass of birthday champagne with three of his five children – Jennifer, David, Angela, Stephen (Siti) and Andrew. Doug Brown had continued to visit Fiji regularly long after he’d officially retired, spending the Australian winter at the family’s beachside property, Colova, near Korolevu on the Coral Coast. The property is now operated as the Beachouse Backpacker Resort by Andrew Walkden-Brown, Doug’s younger son, who announced his father’s passing in an affectionate Facebook tribute. Douglas Walkden-Brown was an Australian by birth but became a Fiji citizen at Independence and always regarded himself as a local. He spoke fluent i’Taukei with a heavy Australian accent that never left him but also slipped in and out of Fiji English – the local patois – with consummate ease. He was tall, slim and gregarious, a raconteur with an easy laugh and a string of jokes and anecdotes. It made him easily one of the most popular figures in Government and in the country and he will be remembered fondly by many older Fijians. Doug dedicated much of his life to Fiji, whose people he loved. He shared the strong sense of duty of many of his expatriate contemporaries to give Fiji the best possible start as a new nation. The various political setbacks over the years were hugely disappointing to him, as they were to many others. But he never wavered in his fundamental belief in the decency of ordinary Fijians and their capacity for forgiveness and reconciliation. Nor in his belief that Fiji would eventually overcome its challenges and fulfill its promise as the pre-eminent Pacific Island nation. Doug Brown – the son of an Australian Methodist clergyman – served in the Royal Australian Air Force in World War Two after graduating from the renowned Hawkesbury Agricultural College. He came to Fiji in 1947 as a Methodist lay missionary and a year later, was appointed principal of the Navuso Agricultural School near Nausori. His own skills as an agriculturalist, combined with his strong leadership skills, made Navuso one of the most respected training facilities in the country. For many years – first under Doug Brown and then his successor and friend, Geoff Bamford – Navuso produced a generation of young farmers, who fanned out over Fiji’s teiteis and farms, using their skills to boost the country’s food production. Navuso in those days was accessible only by boat poled across the Rewa River by one or more of its students. Doug and his equally popular wife, Barbara (nee Curtis), kept a Rover 90 on the Kings Road side of the river and were active participants in the social and community life of Rewa and beyond. Fiji, of course, was a British colony in those days with a substantial European population. Many Europeans kept to themselves but Doug and Barbara had a firmly multiracial outlook and had many friends and acquaintances across the social spectrum. A large number of those friendships were life-long. Indeed, in a striking coincidence, one of Doug’s oldest local friends, Jo Ratuki, also died last Saturday, in different places but on precisely the same day. They’d been mates and work colleagues for more than 60 years. After his tenure at Navuso ended, Doug acquired his own farm off the Kings Road near Nausori, where he was able to put into practice much of the theory he’d acquired over the years. One of his great loves was rugby – a passion he shared with one of his Methodist contemporaries, the Reverend Doug Fullerton, who was also a prominent rugby administrator. He was President of the Fiji School Rugby Union, President of Rewa Rugby Union and also managed the Fijian national team that toured England, Wales and France in 1964. But another passion beckoned – politics – and Doug’s deep roots in the community and the esteem in which he was held provided the perfect springboard. The early 1960s were a time of great change in Fiji, as Britain began to wind down its colonial possessions throughout the world and turn its attention towards a future in Europe. An intense period of “localisation” began, in which Fijians were trained to take over the roles performed at the time by expatriates. A political class also had to be developed, inevitably one that represented the various communities – i’Taukei, Indo-Fijians and what were called in those days “General Electors” – Kailoma and people of European descent. By general consensus, the mantle of national leadership fell to the outstanding Fijian of his generation, Ratu KKT Mara or Ratu Sir Kamisese Mara, as he later became known. It was his job to negotiate a path forward and accommodate the wishes of Indo-Fijian leaders such as “AD” Patel and Siddiq Koya. It was no easy task. Indo-Fijians were then in the majority in Fiji and their leadership favoured adopting a “common roll” voting system of equal votes of equal value. This was vigorously opposed by the indigenous minority, as well as General Electors and some Indo-Fijians who were closer politically to Ratu Mara. 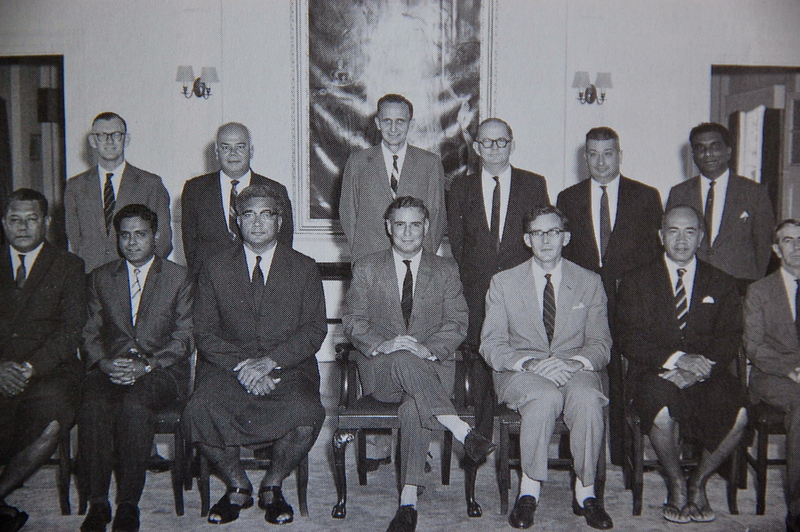 It took several years of painstaking negotiations and two Constitutional Conferences in London – in 1965 and 1970 – to finally come up with a complex electoral formula acceptable to all parties to take Fiji to Independence. More than four decades later, that system is only now being dismantled as Fiji abolishes race-based voting and embraces a united future. In the absence of a large pool of suitably qualified locals from which to form a Government, representatives of the General Electors – among them Doug Brown, Charles Stinson, and John Falvey – formed the backbone of Ratu Mara’s first administration after he won the pre-Independence election in September, 1966, and officially became Chief Minister. Doug Brown had successfully contested that election as a candidate for Ratu Mara’s Alliance Party and when he formed his cabinet, Ratu Mara asked him to take the Natural Resources portfolio that he had held himself under the colonial administration. The two men shared a healthy mutual respect. 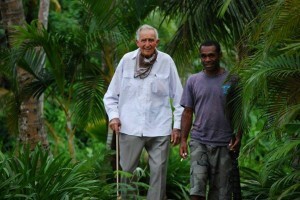 In his memoir, The Pacific Way, Ratu Mara refers to Doug Brown as a “straight talking, down to earth Australian who made an excellent job of Natural Resources”. And so it was that Fiji went on to gain Independence from Britain on October 10th, 1970, and begin charting its own course. Part of Doug Brown’s task was to supervise the transfer of Fiji’s sugar industry from Australian to local ownership. In August 1972, he introduced a bill in Parliament to establish the Fiji Sugar Corporation which, the following year, took over the operations of the Australian firm, CSR, that had owned and managed Fijian sugar for the best part of a century. 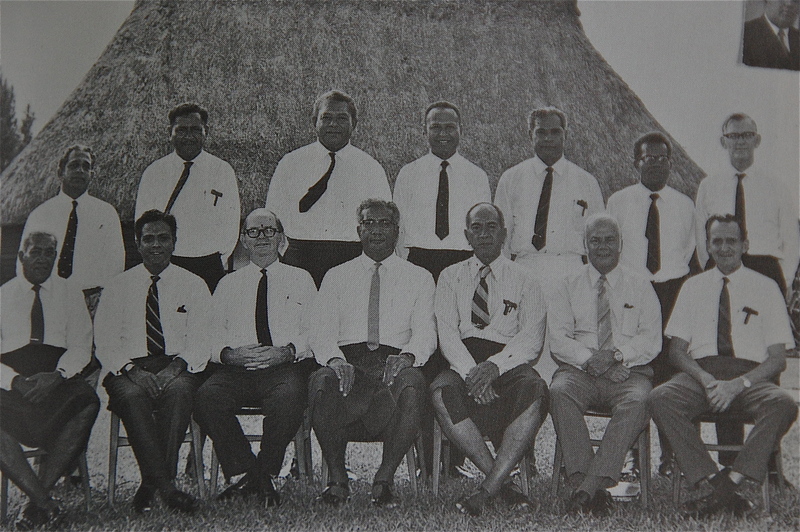 In the next government, formed after the first post-Independence elections later in 1972, Doug Brown remained part of Ratu Mara’s winning team, this time as Minister for Agriculture, Fisheries and Forests. He had found his métier and no-one in Fiji was arguably more capable of doing the job. But when he eventually felt obliged to resign for health reasons, yet another “career within a career” beckoned – that of a diplomat. Doug Brown, sitting far right, in Ratu Sir Kamisese Mara’s first post-independence cabinet in 1972. “In my eyes, Doug Brown represented all that was good about the Fiji-Australian relationship in the second half of the 20th century. Whether it was as a hands-on agriculturalist at Navuso, part-time talatala, rugby administrator, Cabinet Minister, or Consul-General in Sydney, he gave his all for Fiji. Lean, lanky and laconic, speaking Fijian with a heavy Aussie drawl, he was always a man’s man and never lost his sense of humility or humour. I never saw him talk down to anyone, I often observed the care he took to hear his fellow man, and saw how he did not shirk when leadership or clear opinion was required of him. He was someone in whose presence people felt comfortable, whatever their cultural background, whatever their station in life. Like many Australian-born Fijians, Doug Brown was pained by the breakdown of the formal relationship between the two countries because of the events of 2006. Yet he lived to see the first concrete signs of a thaw, as Fiji sets a clear path for elections next year and the new Coalition Government in Canberra responds. Doug lived out his last years without his devoted lifetime partner, Barbara – who predeceased him – but surrounded by an adoring and burgeoning family, his five children plus grandchildren and great-grandchildren. His passing is lamented not only by them but his many friends and admirers, including this writer. Doug and Barbara were life-long friends of my own parents, Peter and Betty Davis, and indeed, were on the docks in Suva one morning in 1952 to farewell them as they left to begin their own missionary work in Lakeba. Doug was the last link to that generation, a generation that placed a big emphasis on service to others. That service was always performed with dedication but also with large doses of humour and wit. The prevailing attitude was that even if life wasn’t meant to be easy, it could at least be fun. There will be many fond memories in Fiji of Doug Brown but his acute sense of humour will be among the fondest. In his Facebook tribute, son Andrew described Doug as “a great father” and a “good mate” who had enjoyed “a full and happy life and was always ready to have a laugh right up to his death”. Surely the best of endings and worthy of a collective “vinaka” from us all. Graham, I really enjoyed reading your informative tribute to Doug Brown. Great article. Vinaka for the Doug Brown article/tribute. Brought back many memories of Fiji. Vinaka Graham. Doug will long be remembered for his contribution to Fiji. I met Doug through Rugby. He was a great servant to Fiji in many aspects. Great coverage Graham in your wonderful tribute to him. Thank you for this fine tribute to a fine man. I knew Doug for about 65 years, from the time when he was at Navuso with his wife Barbara and their family. I was growing up with my family on the CSR “home estate” of Manoca near Nausori (which Doug bought when the CSR closed the mill). So we were, in those days of more scattered settlement, virtually neighbours, and we visited back and forth often, crossing the Rewa by boat to do so. I had contact with him in Australia and Fiji in his other roles as High Commissioner, Member of Parliament, and retiree. He was unchanging—genial, warm, kind and helpful—the man your tribute eloquently portrays. His contribution to Fiji was great and to those of us who called him friend, greater still. I mourn his passing. Doug Brown was one of those who welcomed me when I returned to Fiji in 1984 after an absence of 40 years. I remember with gratitude his warmth and encouragement when mutual friends insisted we must visit him at Colova. Bula Graham, Thanks for the wonderful article. I grew up in Navuso where I happen to grow up with the Brown Kids. My Dad was a teacher under Mr. Brown and later became the Principal after Mr. Bamford. Navuso was in his heart and was always visting whenever he is visiting. Unfortunately, the last time I saw Mr. Brown was in 1988 during my Dad’s funeral when he said the Eulogy. May your Soul Rest in Peace Mr. Brown. Thanks Graham for this well written life history of Doug Brown. I have met him a couple of times and he comes across as very inspirational and a great disciple of God’s preaching. I have been struck by his loving and respectful demeanour every time I see him in public and witness how his legacy still binds us together as a very astute down to earth man. Long may he be remembered for the good that he did and rest in peace Doug! I met Doug when he was courting Barbara Curtis in Armidale and have a vivid memory of a banana yellow Studebaker, the windscreen wipers of which worked off the compression. It belonged to the Curtis family. Doug ran the Waugh and Josephson (Caterpillar) Agency. Thank you Graham for the well worded tribute for the late Mr Brown. My namesake and uncle was Mr Brown’s student at Navuso in the late 1950’s. The impact that Mr Brown created in my uncle’s life was so immense that his love for farming became an inseparable part of his life eventhough he went on to become a teacher. Mr Brown was one of those great leaders who had contributed a lot towards Fiji’s formation as a young independent nation. Most of us never get to meet the late Mr Brown, but I for one felt his undaunting contributions to Fiji. My uncle at one stage was taken in by late Mr Brown at Navuso to be his houseboy when he was feeling homesick, and became very close to him, when he described that Jennifer was quite young. A about three years ago, I drove my 80 year old uncle to Navuso after the new bridge and the new road became connected to the school, one name that he continuously mentioned was that of Mr. Brown. What a blessing it was to have a person such as Mr Doug. Brown, whose imprints were felt in places that he never set foot on nor in lives he never met. May the Lord richly bless his family. Sorry, Graham I only saw your tribute to Doug Brown today and sadly noted his passing away. I recall Doug fondly. He was a great support to my dad when my father was appointed the first Fijian of Indian origin as a District Officer in the Colonial administration in 1962. He was posted as District Officer, Nausori. Those days the District Officer held a powerful position of being the Governor’s chief representative in the District. The District of Nausori included the Chiefly island of Bau and Ratu George Cakobau was resident in Bau as the Paramount Chief. The Fijian hierarchy was very uncomfortable with this appointment. But the then Governor had told my father that he wanted to see how the Fijian hierarchy would accept an Indian Fijian as his representative. Initially, Dad had a baptism of fire. I recall Doug Brown standing In support of Dad’s appointment and providing moral support to him. Doug had wisdom and vision for a Fiji for all, a vision which only became a reality with the leadership of Bainimarama and the people’s overwhelming endorsement of him as Our PM. I also remember drinking fresh milk as a boy in Nausori supplied by Doug’s Manoca Dairy. Graham, I must apologise that I only came across this article today and must thank you for your wonderful tribute to this great man. I never met Mr Brown, but always heard that he lived next door to us, as a kid at Vunivivi Hill, Nausori. I lived in the DO’s residence (my father held the role), in the early to mid 70s. I finally met him in person when he was Fiji Consulate, and an old acquaintance of the old man.I must say that he reminds me a lot of your missionary father and many would think they were brothers. A tall friendly man that spoke Fijian like you late dad. They both shared many similarities as Australians who loved Fiji and its people so much, would preach to us in our language every now and then in the small but growing Fijian community in Sydney back in the 1980s. He was so close to my my father that he recommended him as marketing officer to the South Pacific Trade Commission opening its officer next door in Papua New Guinea House on Clarence Street. I finally rewarded his family in a way as a budding Manager at Merchant Finance (then Merchant Bank of Fiji), when his son Andrew and his young wife came into my office one day seeking finance for some equipment and a second hand seated van to shuttle guest between Nadi Airport and the resort they were trying to set up at the family beach side property at Komave, Coral Coast. They were recent arrival back in Fiji and have set about restoring the family holiday residence about 1993-94. They walked in with a dilemma which made them untouchable by the banks. They hardly had any industrial experience in backpacking, no local borrowing history, and undercapitalised. The name Brown caught my attention and as we exchange stories and commonality I explained that Rev Davis and Mr Brown would often ask me and my elder brother (via dad) to go help clean their residence, in his case the official Fiji Consulate Residence at Frenchs Forest. As family acquaintance, it favoured my decision and gave them the break they were looking for and have never looked back. I am led to believe that the place is now a successful boutique resort targeting surfing sector and i hopefully would like to one day catch up with them. As for Mr Doug Brown, together with Rev P K Davis, they contribution to Fiji had been immense and helped shape our country in many positive ways. May both of their souls Rest in Peace. Thank you Mr Doug Brown,for your great contribution to Navuso Agricultural School and Fiji in general.I am one of the past student of Navuso with fond memories of all those past teachers and their contributions.I salute you and thank you for making Fiji are better country and what it is today.May your soul rest in peace in our Heavenly Father’s loving arms.